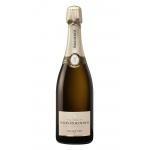 The Moët & Chandon Brut Impérial Magnum (£69.52) is a sparkling wine made by Moët & Chandon from the region of Champagne that is based on pinot noir, pinot meunier and chardonnay grapes and has an alcoholic content of 12%. 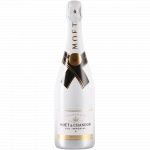 The Moët & Chandon Brut Impérial Magnum is the ideal sparkling to combine with white meat and fruits. 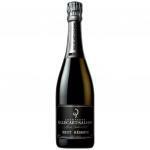 Uvinum users evaluate this sparkling wine with 4 out of 5 points while experts give the following rate: robert parker: 86 and wine spectator: 89. 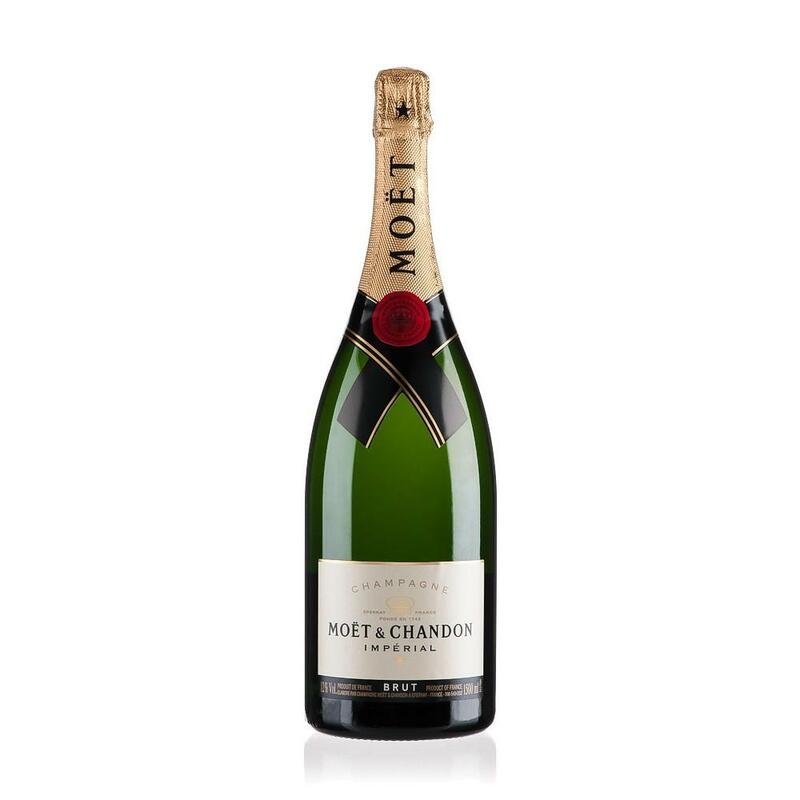 Created in 1869, Moët Impérial embodies the winery's unique style. 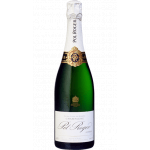 More than 100 different wines are married, 20-30% reserve wines, to form this French Champagne's maturity, complexity and constancy with the body from the Pinot Noir, the suppleness from the Pinot Meunier and the Chardonnay's finesse. 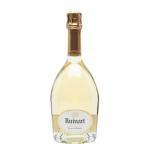 - View: it is characterized by its pale yellow, somewhat greenish color, in a MAGNUM luxury bottle of 1.5 liters. Brilliant, with fine and constant bubbles. 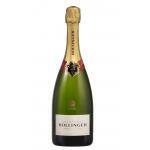 - Nose: frank, with aromas of ripe white fruit (pear), pastry (angel hair), light smoked and aniseed. 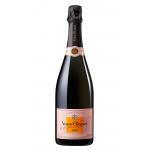 - Mouth: fresh, slightly fruity, apricot souvenir, light citrus notes. End with a nice dry feeling. GRAPES: Chardonnay, Pinot Meunier, Pinot Noir. 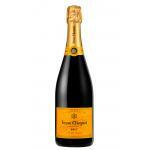 - The champagne Moet & Chandon Brut Impérial Magnum is a sparkling wine reserve. 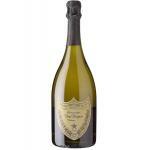 - It is made in the Moët & Chandon winery and has a designation of origin Champagne (France). 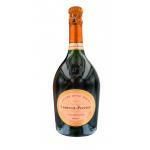 It is made of grapes Chardonnay, Pinot Noir and Pinot Meunier. - Brut Imperial is the archetypal Moet & Chandon marque. - An harmonious blend of all three grape varietals and reserve wines. - View: Pale yellow gold. 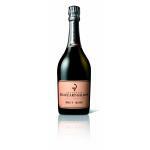 - Nose: delicately vinous aromas, a touch of lime and vine blossom. - View: pale yellow green shooting. I had it at some good friends house. Fantastic colour. The final reminded me of bakery flavours. This is quite like the previous vintage. A wine to be paired with "Tapas". From now on I will buy at at Uvinum. Its intense colour attracted me. Yeasty smell. It has a mellow taste of chocolate pudding. 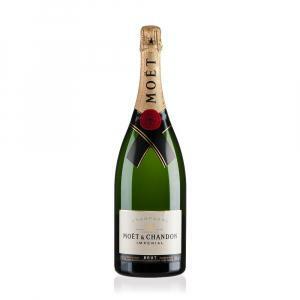 - View: Moet & Chandon Brut Magnum is pale yellow gold. - Nose: delicately vinous aromas, with a touch of lime and vine blossom. 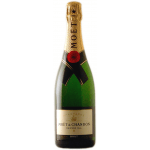 - View: Moet Chandon Brut Estuche Magnum has a pale yellow color tending to green. - View: Moet Chandon Brut Magnum is pulling a pale yellow to green. 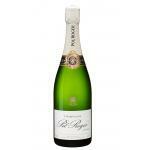 If you want to buy Moët & Chandon Brut Impérial Magnum, at Uvinum you will find the best prices for Champagne. Purchase it at Uvinum at the best price, fast, easy and 100% safe. We bring you the largest catalog of more than 59.000 products becoming this way the biggest online shop to sell wine, beer, and spirits in Europe thanks to more than 38.000 customers who trust us.